Color: Pale pearl-pink aging to cream. Bloom: Repeat blooming. 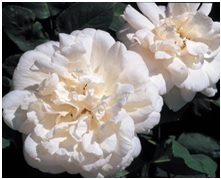 Clusters of large, globular, double cupped 3 1/2″ flowers (petals 40+) of pale, pearl-pink, aging to cream on a strong plant with attractive foliage. Interesting Facts: One of the most fragrant of roses. A most outstanding pillar rose. More hardy than other Noisettes.